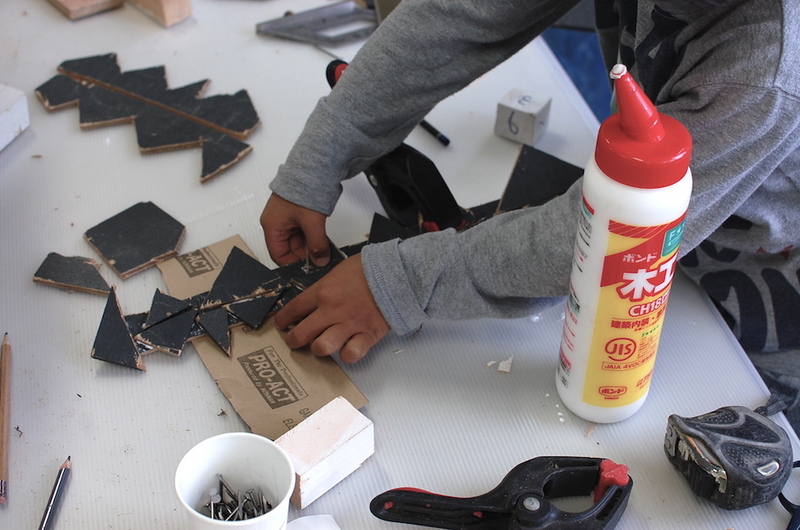 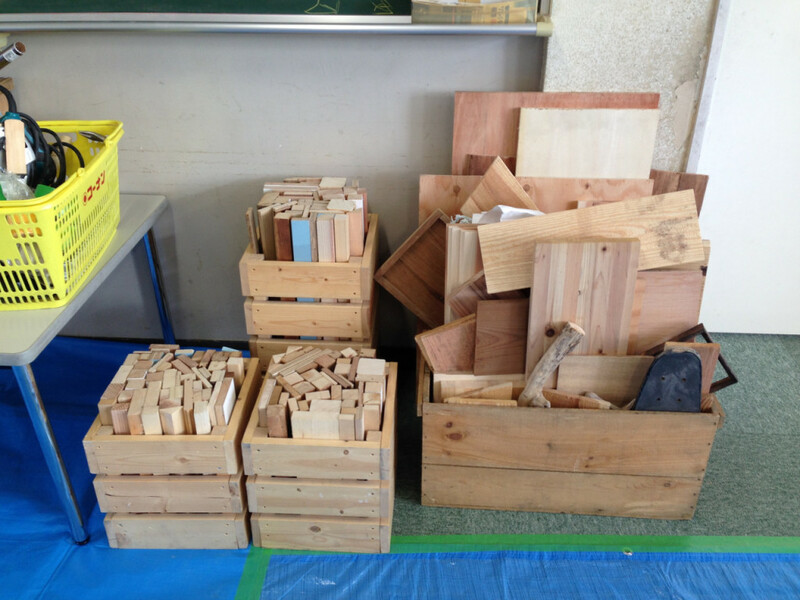 We organized a workshop at the elementary school in Ibaraki-shi. 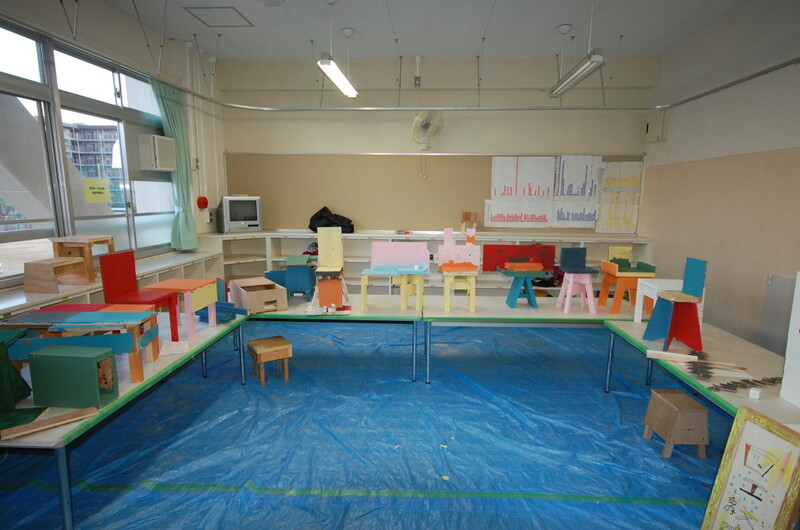 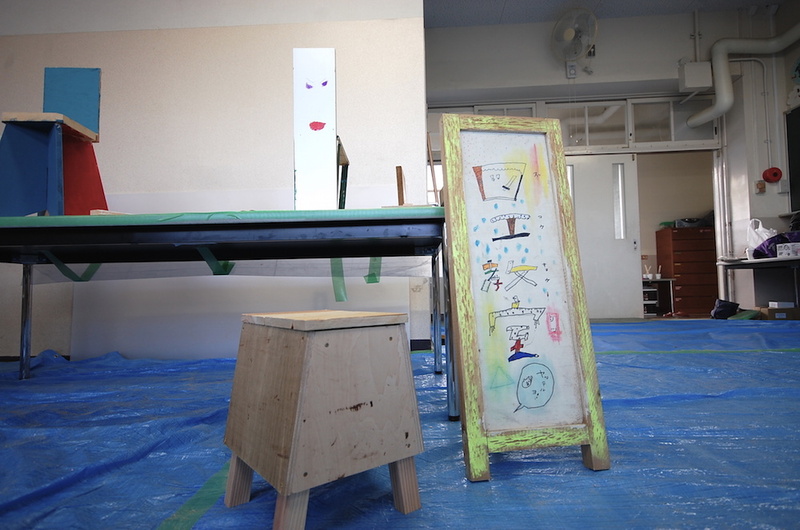 Lecturer Iisaka made basic chairs advance for preparation. 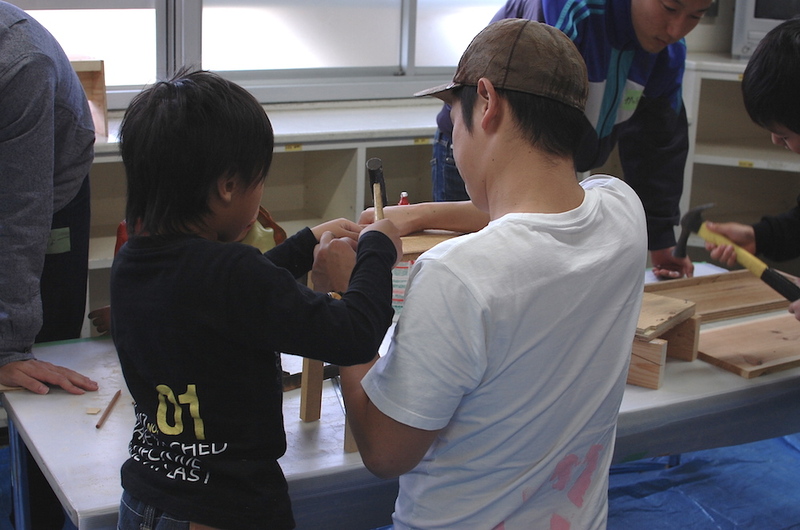 On they we helped kids to recreate or decorate the chairs to make their own. 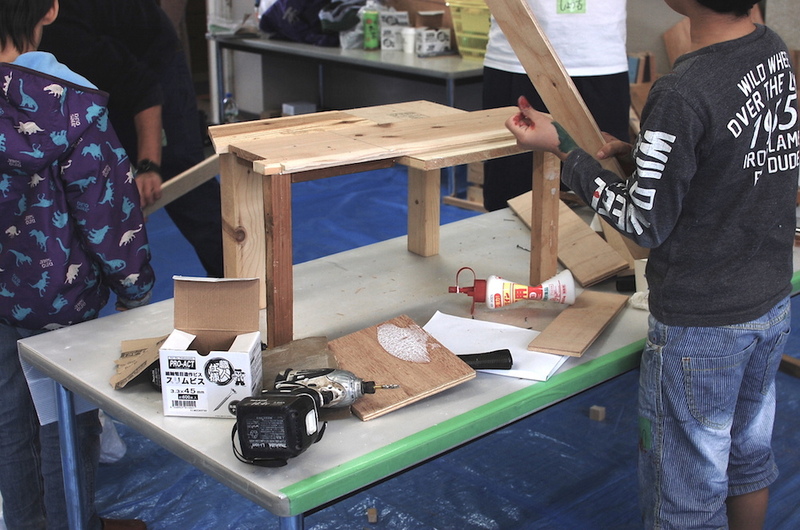 Some kids started to make things they wanted to make using listings.